I’ve been complimented on my work by fans, show attendees, people who’ve supported my Kickstarter’s and/or bought my DVDs. It’s gratifying, although my reason for doing what I do has nothing to do with the “has the ‘Thank-you-masked-man Man been here today?”** aspect of it. One such thank-you I receive about What I Do from folks is one I’d like to clarify. 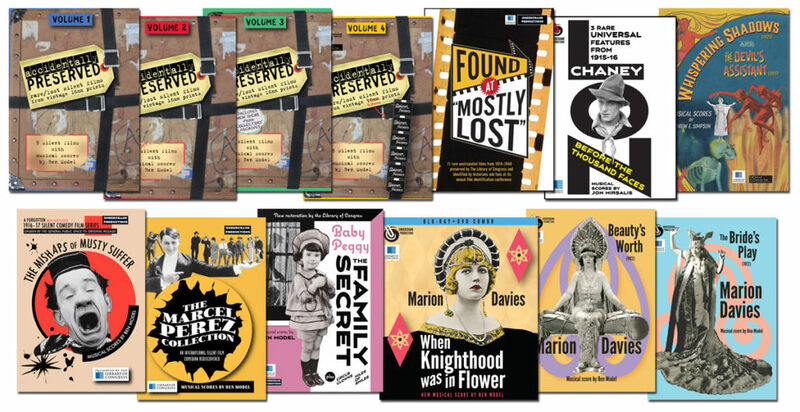 It’s happened more over the last few years because of my work producing and distributing DVDs of rare silent films — the thank-you for my efforts in film preservation. I haven’t preserved a single foot of film. The definition of Film Preservation has been a topic of discussion among film archives and archivists over the past couple of years, because of the development of digital technologies and their potential viability as a preservation format. But pretty much, film preservation means just that…literally. The end product is a motion picture film element. The simplest process a straight-up copying of one print onto a preservation negative (ideally 35mm). The other end of the spectrum would be doing a crap-ton of digital clean-up and stabilization and grading and title-creation from a 2K or 4K scan of multiple elements — but the final step being a “film-out” to a 35mm preservation negative. Even if digital is the medium used for exhibition, winding up with a film element — one that will last more than a hundred years — is what most archives consider a preservation. This it-has-to-wind-up-on-film definition is in constant flux, with the possible looming extinction of the manufacturing and processing of motion picture film and the costs that come with it. At some point in the future (I’m writing this in February 2019) “film preservation” may mean either photochemical film element or huge multi-terabyte un-compressed 4K or 8K digital files as the end result. My production end point is a DVD release, and Blu-ray if there’s quite a bit of additional funding. There is restoration work involved in some cases — exposure correction, new titles, tinting and toning, digital clean-up and stabilization, editing work on the print that’s been scanned. And then there’s the addition of a new musical score. I do back up my work so the digital elements and final master file live on two separate hard drives. But the goal, for me is getting the films out on disc for fans to enjoy and rediscover in their home. This is not Film Preservation. There isn’t a tidy appellation for the work I do under my Undercrank Productions banner, producing and distributing film for home video and for theatrical screenings. It’s really a form of film exhibition, but calling myself an “exhibitionist” doesn’t sound right either. However, I have come up with a term that fits what I do that I think is more fitting — “audience preservation”. It’s not quite right, as some of what I do preserves (and even reboots) the reputation of certain silent era performers. I’ll keep trying to think of something that’s more fitting. Just the same, though, I appreciate the thanks and especially the support of my DVD releases through backing via Kickstarter or buying the DVDs. ** “The ‘Thank you masked man’ man” is a reference to Lenny Bruce’s comedy routine about the Lone Ranger, which was also adapted into an animated cartoon.